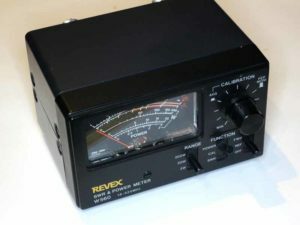 The low frequency range is specified as 1.8-160MHz. 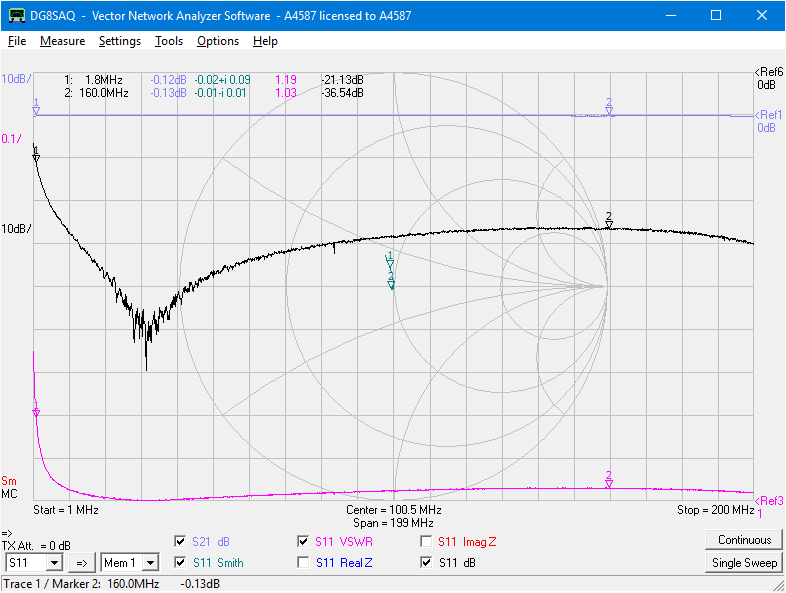 Above is a sweep with a VNA from 1-200MHz. 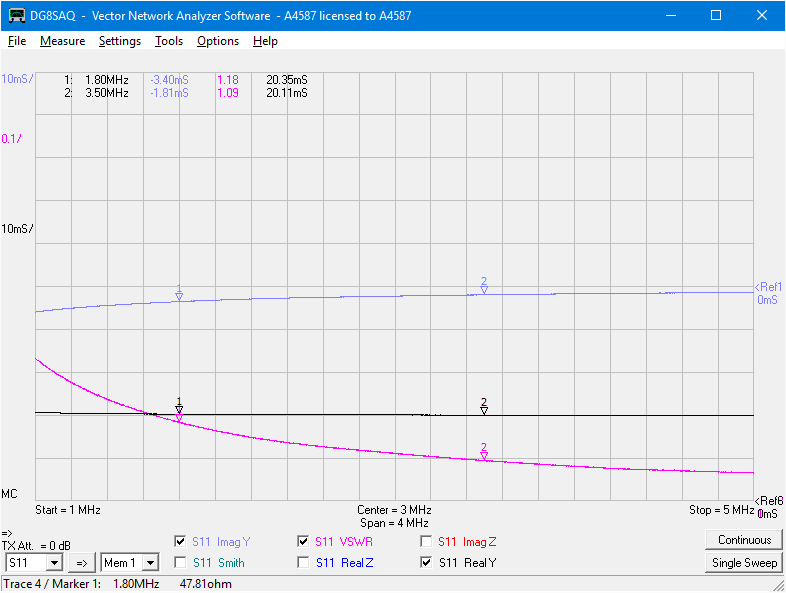 The shape of the VSWR response (magenta trace) is interesting, it hints that some form of compensation has been employed to extend the high frequency response which is quite good. 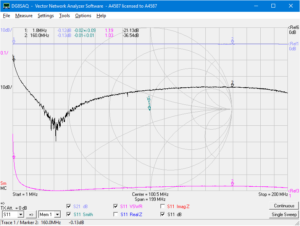 But… though it is specified as suitable from 1.8MHz, InsertionVSWR is 1.2 at that frequency and it really isn’t good until 3.5MHz. This does look like the sort of reponse one might get from a Grebenkemper coupler if the transformers has too low a magnetising inductance. 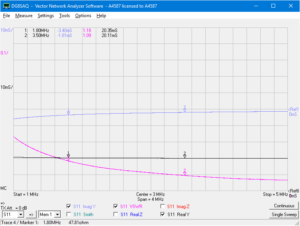 A re-measurement from 1-5MHz yields a very slightly different response… the way of measurement. Above, this one has markers at 1.8 and 3.5MHz. At 1.8MHz, Y=0.02035-j0.00340S, and the equivalent parallel components are 49.14Ω resistance || 294.1Ω inductive reactance (Lp=26µH). Hints of a poorly designed Sontheimer coupler (or another type with shunt inductor(s) / transformer(s) are a reminder that validating these things is worthwhile.